Ning Kam was born in Singapore and began studying the violin at age six with her father, violinist and composer, Kam Kee Yong. In 1987 she received scholarships from the Lee and Shaw Foundations of Singapore to enter the Yehudi Menuhin School in Surrey, UK where she studied with Maurizio Fuks, Wen Zhou Li and the late Sidney Griller. In 1993 she entered the Curtis Institute of Music, Philadelphia to study with Jaime Laredo and Yumi Scott and received her Bachelor Degree there. She then went on to study with Donald Weilerstein at the Cleveland Institute of Music where she received her Masters of Music Degree and an Artist Diploma. In 1991, Ning won First Prize in the junior section of the Folkestone Menuhin International Violin Competition, she was a prizewinner at the Third International Pablo Sarasate Violin Competition in Pamplona in 1995, a finalist in the 2000 Henryk Szeryng Career Awards, culminating in winning Second Prize "Prix du Gouvernement Fédérale Belge Eugène Ysaye" at the prestigious Queen Elisabeth Competition of Belgium in 2001. Hailed by De Standaard as "manifestly the best violinist of the competition" she also won the Flemish Radio and Television Audience Prize there. The Strad Magazine praised her as a "strong artistic personality". Ms. Kam has also been honoured by the National Arts Council of Singapore with the Young Artist Award, presented in 2000 to a young artist of extraordinary talent. She has been featured on the documentary "Portrait of the Artist" on SBC, Singapore, and has been broadcast on SBC Radio Singapore as well as on CBC Radio Canada's "Music Around Us" Series at the Glenn Gould Studio, Toronto. In October 2002, Ning was invited to perform at the National Inauguration of the Esplanade Theatres on the Bay Concert Hall in Singapore, where she partnered Sarah Chang in Bach's double violin concerto with the Singapore Symphony Orchestra, conducted by Lan Shui. This occasion was graced by Prime Minister Lee Hsien Loong of Singapore. She was invited as an honouraree at the President's Command Performance in April 2009 where she performed her own arrangement of John Newton's "Amazing Grace". Ning Kam has given many concerts in Europe, Singapore, Canada and the United States. She has performed at the Menuhin Music Festival in Gstaad, Switzerland. In 1988 she appeared on BBC's Blue Peter, where she played to a television audience of seven million. In that same year, she performed the Mendelssohn Concerto at the Royal Festival Hall, with the Wren Orchestra. Since then she has appeared with the Royal Liverpool Philharmonic Orchestra, Toronto Symphony, Cleveland Orchestra, National Orchestra of Belgium, Royal Flanders Philharmonic, Flemish Radio Orchestra, City of London Sinfonia, the Orchestra della Svizzera Italiana and the Singapore Symphony Orchestra. Ning released her first CD in 1997, featuring the works of Enesco, Sarasate, her father, Kam Kee Yong as well as transcriptions by Heifetz. Most recent releases are a CD dedicated to the music of the Americas entitled "Transatlantic", and a recording, "Cicada", dedicated solely to the music of Kam Kee Yong. American Record Guide has praised "Transatlantic" as "energetic and virtuosic" as well as having "humour, lightness and strength". ClassicsToday.com has called Kam's playing "stunning" and "fiendish" and a 10/10 was given by the Belgian music magazine "Crescendo" for this original recording. Ning released her debut recording with orchestra of the August De Boeck Violin Concerto with the Flemish Radio Orchestra conducted by Marc Soustrot, under the Etcetera label. 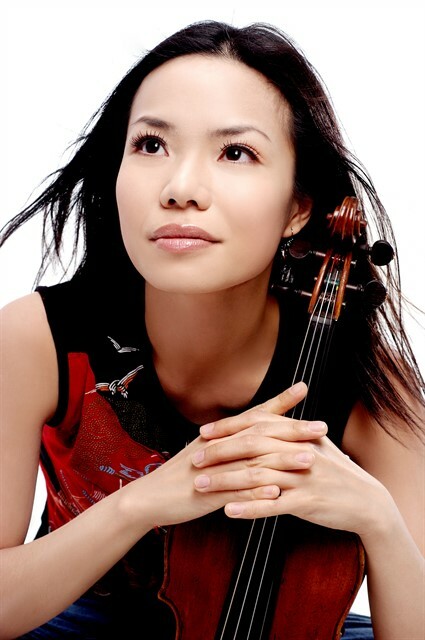 Beginning in september 2011, Ning will commence in her role as the new Artistic Director of het Kamerorkest Brugge. Это персональный сайт пользователя Ning Kam. MusicaNeo не контролирует его содержание. о всех возможных нарушениях.